Deeohn Ferris, JD, is President and Founder of Sustainable Community Development Group, a not-for-profit national research and policy innovator dedicated to advancing sustainability and public health through equitable neighborhood development, smart growth and the green economy. Ms. Ferris is a lawyer whose interdisciplinary career spans government, industry and the public interest. At US EPA, she directed nationally significant compliance and enforcement litigation. She served as environmental counsel to the American Insurance Association; and was the first African American senior environmental policy director at the National Wildlife Federation where she was honored with the Charlie Shaw Conservation Partnership Award. Ms. Ferris is the environmental justice pioneer who launched the Environmental Justice Project for the Lawyers Committee for Civil Rights Under Law where she provided counsel on novel legal cases and helped to convene the first-ever Congressional House and Senate environmental justice hearings. 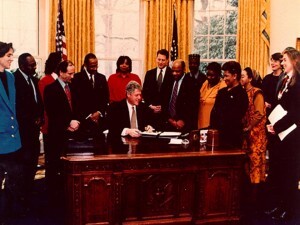 While there, she led the groundbreaking national campaign that resulted in the federal call-to-action Presidential Executive Order 12898, the National Environmental Justice Advisory Council and the federal Inter-Agency Workgroup. Next, she established the Washington Office on Environmental Justice which provided representation in the nation’s capital and the United Nations for a multi-racial international grassroots coalition. Ms. Ferris has extraordinary experience advocating on behalf of and working with communities in countries on 5 continents. She has lectured and worked in China, Turkey, South Africa, Nepal, India, Bolivia, Mexico, Brazil, Fiji, Indonesia, the United Kingdom, the US and throughout North America. Her work spans critical public policy issues that range from managing the Exxon Valdez natural resources damages litigation, to publishing a national biotechnology newsletter, The Gene Exchange, to training judges and lawyers from nations in Southeast Asia, to advising NGOs at the World Conference Against Racism in Durban, South Africa; the World Social Forum in Porto Alegre Brazil; and the World Summit on Sustainable Development in Johannesburg, South Africa. She is a nationally recognized equitable development proponent and provider of public policy expertise and technical assistance that tackles sustainability in under-resourced and low wealth neighborhoods. She was on the ground floor of enacting the 2002 federal brownfields law; providing expert Congressional testimony that leveraged community support for the nation’s premier land revitalization statute. Since 2010, she has served on the national planning committees for the annual federal New Partners for Smart Growth conferences and the biennial federal Brownfields conferences. She represents Sustainable Community Development Group as a member of the national Smart Growth Network. 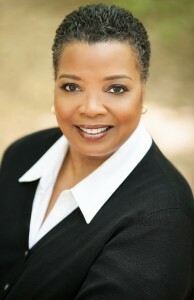 In 2013, Ms. Ferris was the very first recipient of the National Association of Local Government Environmental Professionals’ Environmental Justice Award. Her public service involves numerous appointments including the US EPA Advisory Committee that drafted All Appropriate Inquiry, the national environmental due diligence regulation; the National Advisory Council for Environmental Policy and Technology; the National Institute for Environmental Health Sciences Advisory Committee; and the US Department of Energy Citizens’ Monitoring and Technical Assessment Fund. Ms. Ferris was a peer reviewer for US EPA’s RCRA Subtitle C Definition of Solid Waste Regulation. She was also Vice Chair of the American Bar Association’s Climate Change, Sustainable Development, and Ecosystems Committee; and a National Smart Growth Awards review panelist from 2008-2010 and in 2013.